How clean is your house or office? Need a reliable, honest cleaner to keep your home or premises sparkling? Welcome to C&B Clean. 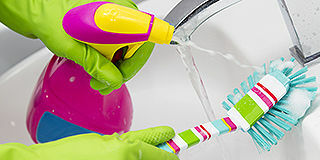 We cover a large area of Sussex for one-off cleans. Our charges are very reasonable. Contact us today to find out more, or view the Enquiry Page to send us an email. We clean small offices, shops and communal areas in blocks of flats. 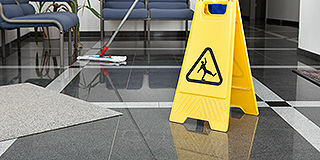 Our trustworthy staff are fully insured and we supply all our own cleaning materials. What do out customers think? We have a variety of different reviews to help make your mind up. Got to see it to believe it? Click here to see our gallery page and see what we have already done. Want to enquire or discuss? Please view our enquiries page to send an email direct to us. We are a family run business, and we've been tackling all kinds of cleaning jobs since 2005. Whether you need a regular household clean, an end of tenancy clear-up, a builder's clean or a one-off spring clean - at any time of the year - we're able to help. If you're moving house, we can make life easier, with a top-to-toe scrub. We also clean small offices, shops and communal areas in blocks of flats. 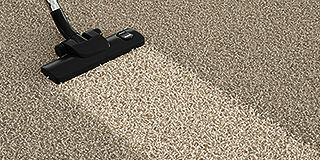 And if your OVEN or CARPETS are looking tired, we can also clean these up for you. Our trustworthy staff are fully insured and we supply all our own cleaning materials. Wherever possible we will provide you with the same regular cleaner, so you'll always know who's coming through the door. We carry out regular work for several local Estate and Letting Agents. Those are Stafford Johnson Estate Agents, Matthew Anthony Estate / Letting Agents, MiCawber Lettings, Mark Oliver Estate Agents, Ian Watkins Estate Agents. We have many local private landlords who use our services for End of Tenancy cleans where we can also clean carpets and ovens. We also clean several communal ares in local blocks of flats, one of them being for Banner Property Services Ltd.
We undertake many deep cleans and extreme cleans for Social Services.